In rejecting a $335 million damage award to Cisco, a California jury gave Arista Networks a key verdict in part of the expansive patent infringement lawsuit the two networking companies are fighting over. While the jury found Arista had copied some of Cisco Command Line Interface it declined to award in damages. The jury also found that Arista did not infringe the single patent remaining in the case as well as Cisco’s asserted copyrights in its user manuals. “We would like to thank the jurors and [U.S. District Court Judge Beth Labson] Freeman for their tireless efforts. Today’s verdict represents an important victory not only for Arista but for the entire industry,” said Marc Taxay, Senior Vice President and General Counsel of Arista. Chandler went on to say Arista copied despite the fact that other competitors have developed user interfaces in a wide variety of ways that do not copy. Cisco’s user interface is well-known and successful, and while it has often been referred to as an “industry standard” – meaning a popular benchmark – none of Cisco’s technology in this case has been incorporated in any actual industry standard; in fact, no CLI standards body actually exists. “We will look to Judge Freeman to determine whether there was sufficient evidence to warrant the conclusion reached by the jury, as well as other grounds for setting aside the trial result,” Cisco stated. 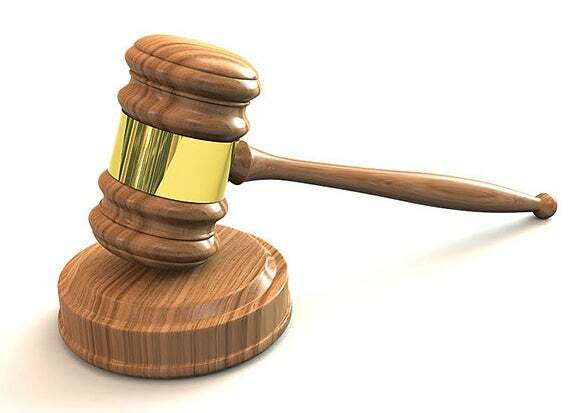 The Arista victory comes a week after a US trade judge ruled that Arista Networks infringed on two other Cisco switch patents. A U.S. International Trade Commission judge issued the so-called “initial determination” on the case which now must be reviewed by the ITC. In the end should the ITC find against Arista its switches could once again be banned from import into the US. The ITC you may recall ruled against Arista in another part of this case and between June and August the company could not import those products. In November Arista announced that US Customs has given it permission to resume importing its networking gear in the United States. At the time Arista stated the company’s current products which contain redesigned software -- Extensible Operating System (4.16 or later) are not within the scope of the limited exclusion order issued by the United States International Trade Commission in Investigation No. 337-TA-944 and therefore may be imported into the United States. “These patented technologies are required to improve the operation of networking products, and to protect the control plane of a router or switch. These are core switch functionalities, and are included in Arista’s entire line of switches. Once again, Arista’s customers will need to bear the risk associated with any import ban and cease and desist orders,” said Chandler in a blog post about the ruling. The judge also found no infringement of four other patents Cisco originally asserted in the case, Arista stated. “Arista intends to request a review of the full Commission of the [judge’s] findings. If granted, the full Commission is expected to issue a final determination on this matter in April 2017. While still subject to review, Arista intends to fully address the infringement findings with design-arounds for its products,” Taxay said in a statement.